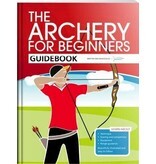 The Archery for Beginners Guidebook has been designed to guide beginners through their first steps in target archery. It's beautifully illustrated, easy to follow and packed with basic information on technique, equipment, range safety, scoring and competition.Hannah Bussey, one of the authors, said: "It isn't always easy taking up a new sport. To begin with it can all seem a little alien, but with a bit of assurance and direction, it's surprising how easy and fun it is to get to grips with archery. We developed this guidebook to give beginners a starting point, to accompany them in the early stages when everything seems a bit confusing and they are worried about getting it wrong. This book will help new archers get into good habits from the start. It has been written for all ages and can be used by clubs as a resource for new members." It is also packed with useful hints and tips, guidance on etiquette and what to expect as you progress through the sport. 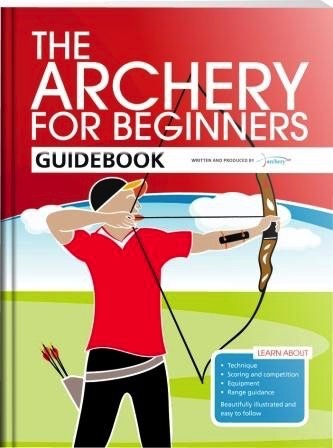 The Archery for Beginners Guidebook also makes the perfect gift for people coming back to archery after taking a break.